I forgot to release this completely Friday, so here it is now! I’m once of those M&P soapers that gets jealous over the swirled soaps we made for the Cold Process Soap Week. I couldn’t stay jealous, so I decided to resolve the issue and make a swirled soap for M&P soap. 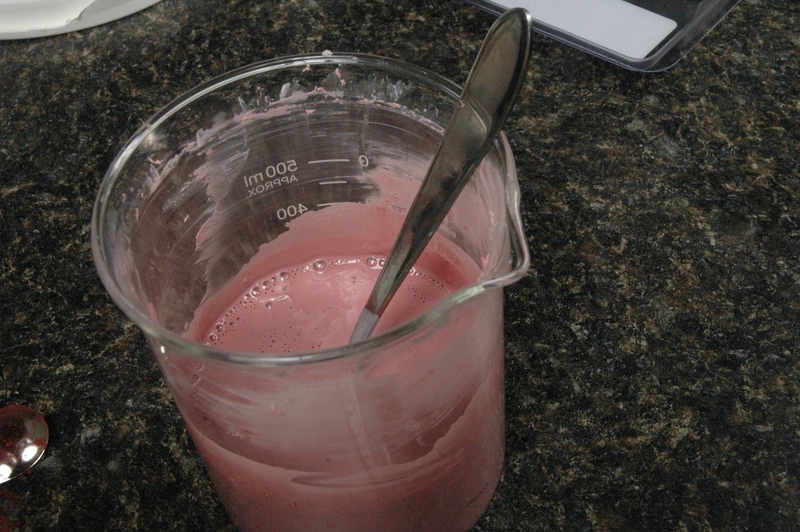 In one container, measure a small amount of White Melt and Pour Soap (approximately 3 oz). Melt this soap. 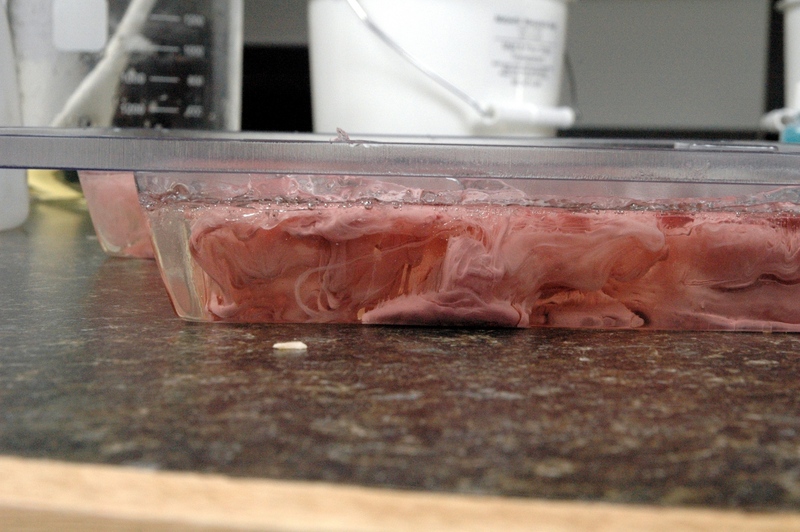 In the other container, melt the Transparent Melt and Pour Soap (approximately 13 oz). Once the soap is melted in both containers, add 1 mL of Blackberry Sage Fragrance Oil to the White Melt and Pour Soap, and add 4 mL of Blackberry Sage Fragrance Oil to the Transparent Melt and Pour Soap. Pour the large amount of Transparent Melt and Pour Soap into the mold, leaving some space left for the colored soap. Stir the soap while it is in the mold, so it can be cooler for the colored soap. If it is too hot, the soap will not swirl correctly. 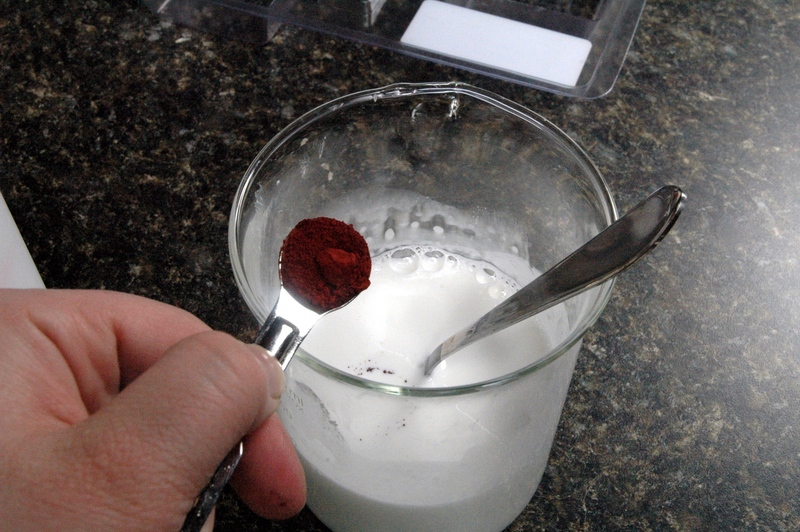 Add 1/4 teaspoon of Brick Red Color to the White Melt and Pour Soap. Stir in the color. 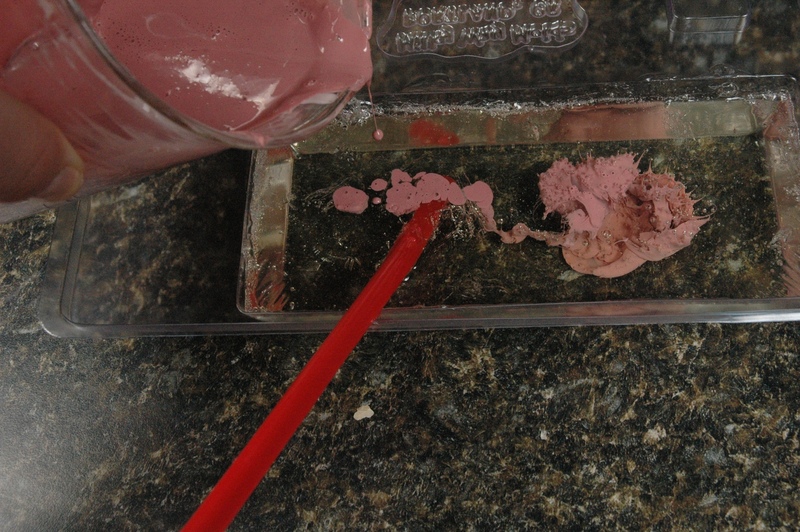 Once the color is completely mixed into the soap, pour half into each bar mold and swirl the color with the straw. Allow to cool and then remove from the mold and cut. If the soap is too hot, it will mix together and you won’t have defined swirls. 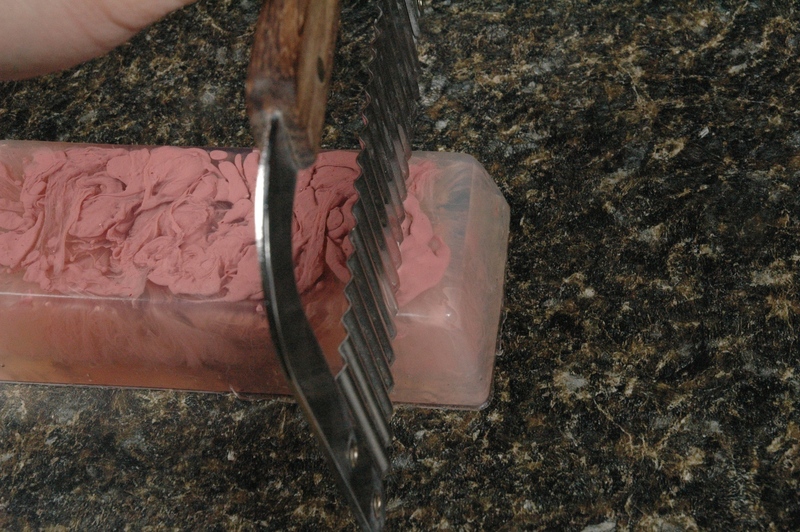 Adding Brick Red color to white soap. Stirring in the Brick Red color. 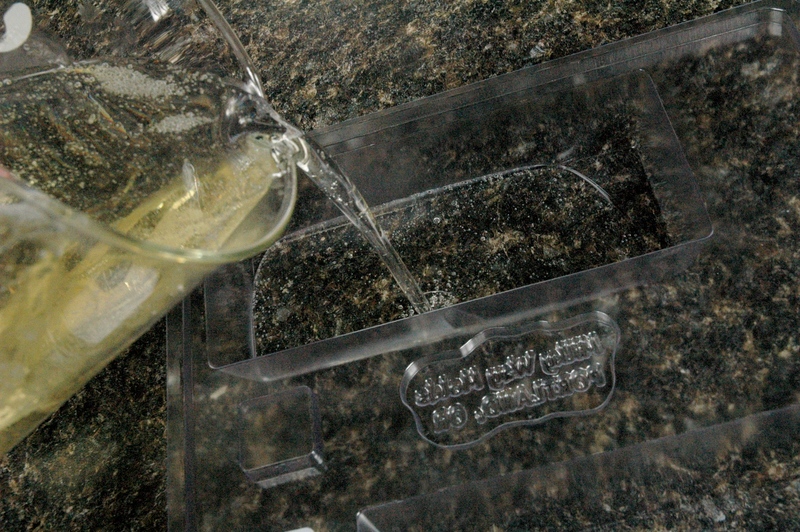 Pouring the Tranparent M&P soap into the mold. 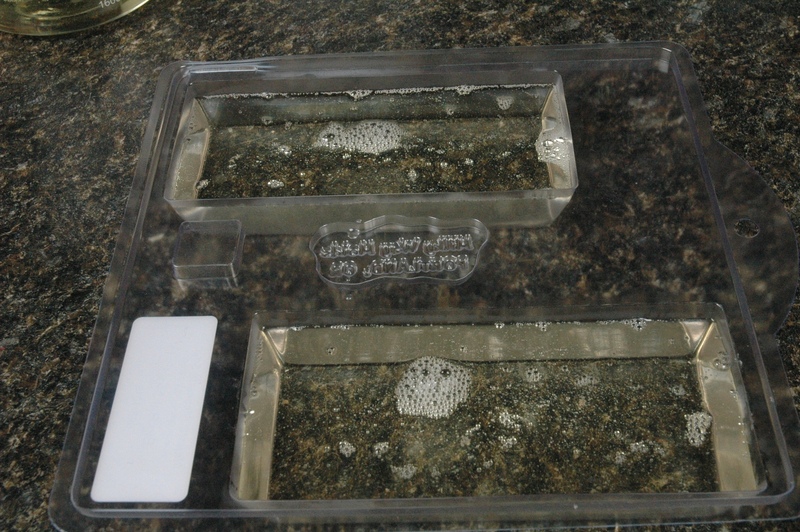 Mold filled with Transparent M&P. 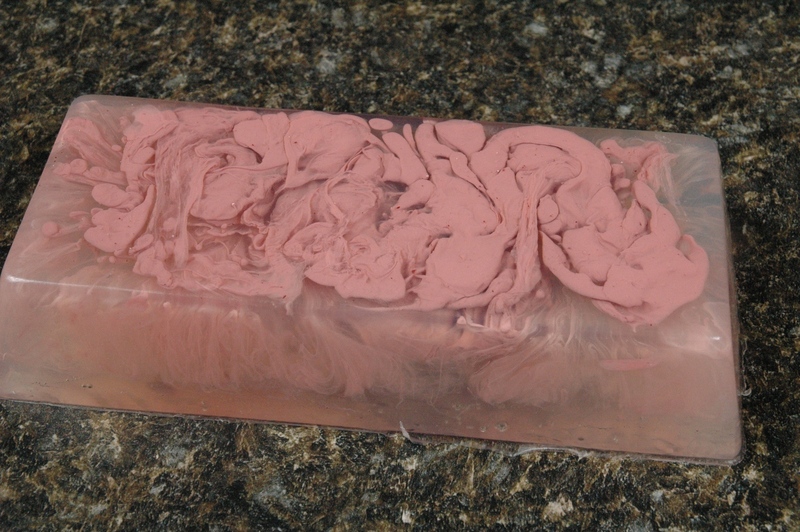 Side view of the swirled soap. Preparing to cut the soap. 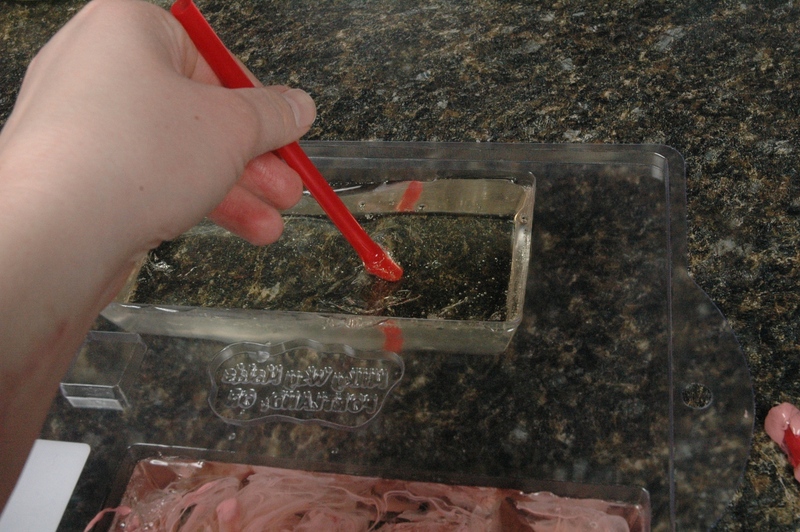 Stirring soap with the straw. 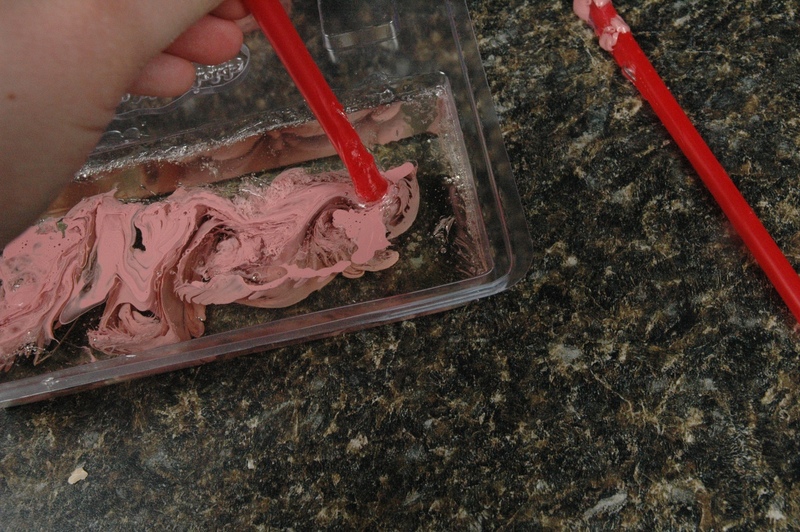 Using the straw to make swirls. Swirled soap out of the mold. 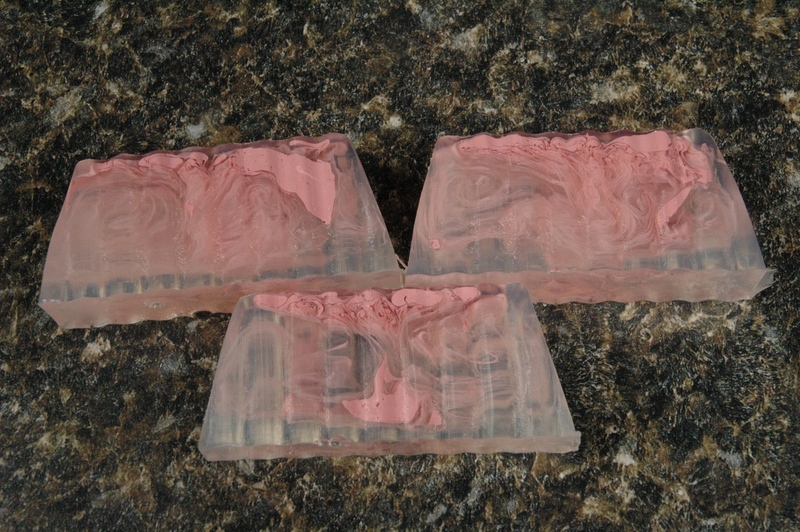 Cut bars of our swirled soap. Do i use the right melt and pour base? Which base are you using? I have tried 2 bases. Stephenson and one from Michael’s store. We don’t use either of these bases. The above project was using our melt and pour base. The melt and pour soap base name does not make all products equal. You will need to contact the manufacturers of the bases you are using to determine what temperatures are needed.